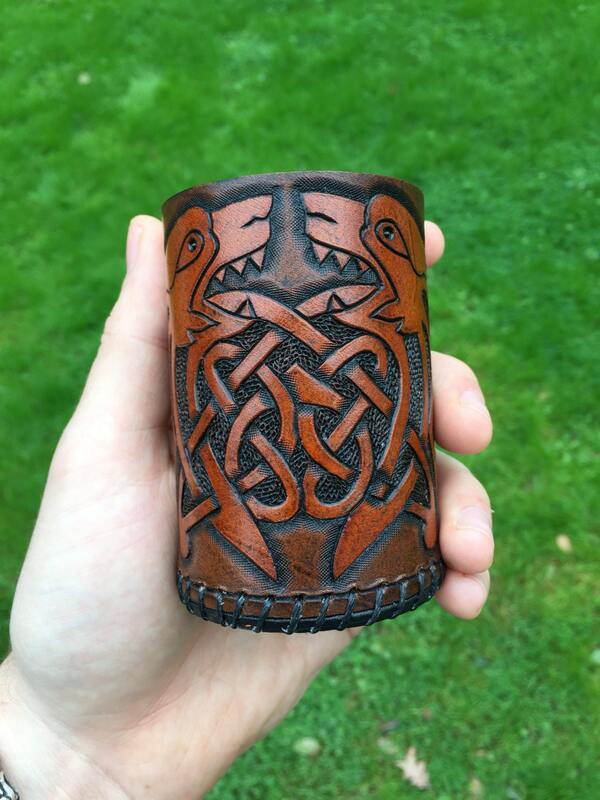 This hand crafted liars dice cup is crafted from thick leather that is 3x thicker then most of the liars dice sets out there. As always we craft our products to the highest standards that will last so long you will be able to pass down these unique items. 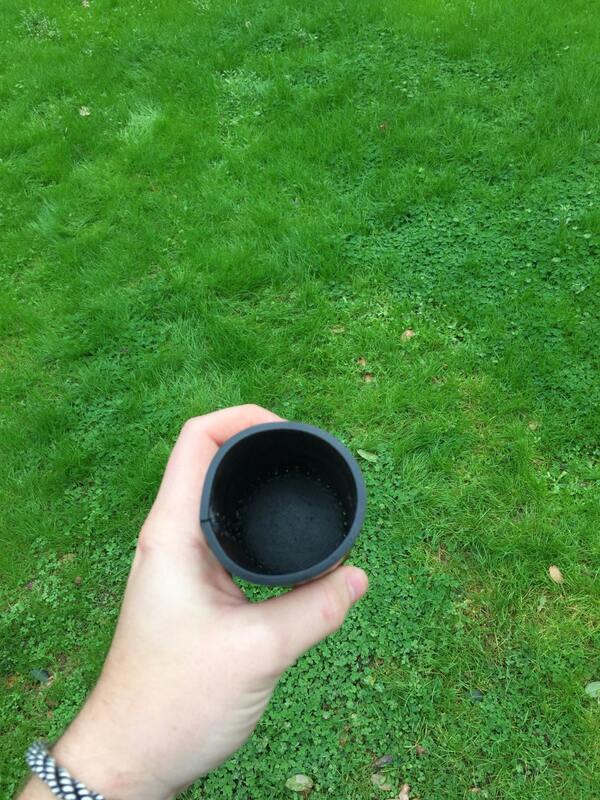 Cup averages around 4 inches tall and 2.5 inches wide. Comes with instructions on how to play. 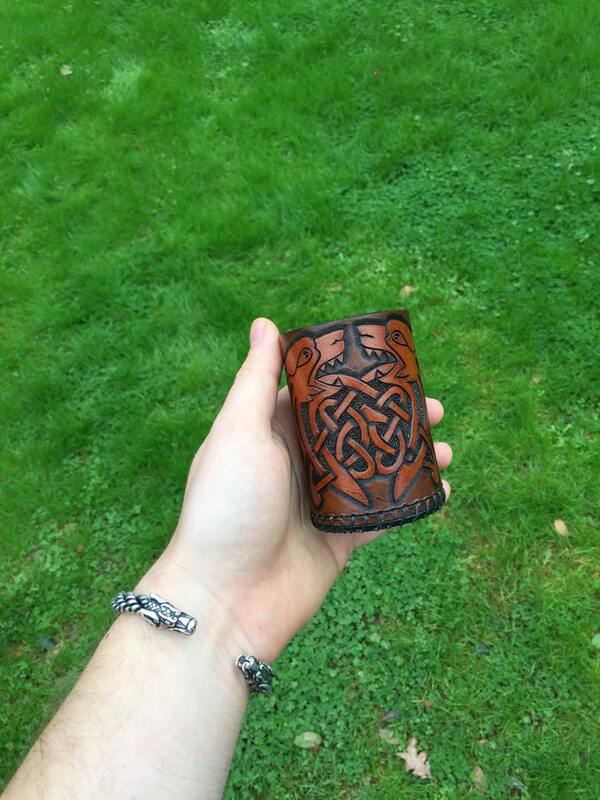 Really well made and solid dice cup, the best I've seen. Great for adding immersion in an rpg or feeling like a viking while playing vintage dice games. Great seller, fantastic work, such a joy to shop from. Beautiful design and craftsmanship! My Father will love it! Very cool Dice cup Love it!